Delph became the third Villa player to be sent off in four games after being dismissed for a challenge on Jordi Gomez in the 0-0 Barclays Premier League stalemate with the Black Cats. The dismissal forced manager Paul Lambert to deny his side were a dirty team after Kieran Richardson and Gabby Agbonlahor - who had his red card against Manchester United rescinded - were also sent off this month. But, even though Lambert said he thought the decision was "harsh" and that the resulting three-game ban would be "excessive", the club confirmed the decision had been upheld. #AVFC," the club said on Twitter. The Football Association also confirmed it had upheld the ban, adding to its statement earlier in the day stating Newcastle's Papiss Cisse would serve a three-game ban for violent conduct. "Meanwhile, a claim by Aston Villa that the suspension for a red card for Fabian Delph was excessive has been rejected by an FA Regulatory Commission," their statement read. His three-match suspension will commence with immediate effect." The 25-year-old former Leeds man will now miss crucial Premier League clashes with Crystal Palace and Leicester, as well as Villa's third-round FA Cup tie at home to Blackpool. 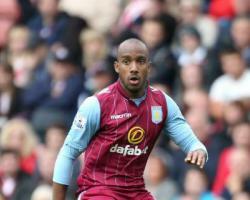 Delph has been one of Lambert's most consistent players of the season and has broken into the England reckoning, making his debut in September's friendly victory over Norway and collecting two further caps in European Championship qualifiers.